Is it a wise decision to purchase used pallet racking? The purchase of pallet racking for most customers is a significant purchase on a product that adds little value to a company’s bottom line. In the ideal world companies would not hold any stock what so ever and supply directly from the production line. Stock on racking is dead money but in the real world, most if not all companies, need an element of stock to service their customers. 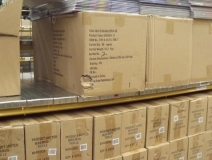 Accepting that pallet racking is a necessary evil it is important that the asset of the warehouse is optimised both space wise and in the most efficient way. The purchase of racking for most companies is not a regular purchase and most buyers will not have anyone experienced in the design and purchasing process. So where does the potential purchaser start? The Plimsoll report on the shelving and racking market identifies 333 companies selling shelving and racking products within the UK and with the advent of the internet most if not all these suppliers would probably offer a nationwide service. It is not easy for the novice buyer to navigate this minefield. First of all there is no trade body that encompasses the whole industry. What about SEMA I hear you say? SEMA stands for the Storage Equipment Manufacturers Association is a trade body that represents the interests of its members. Not all storage equipment manufacturers are members of SEMA and until recently distributors could not be members. There are only 6 full members direct who offer pallet racking to the end user and according to the Plimsoll report these contribute to about 14% of the total market. Eventhough SEMA members are becoming an ever decreasing part of the market place no one should under estimate the significant impact SEMA has had in improving standards of pallet racking throughout the world. The SEMA codes of practice are acknowledged as standards of excellence. SEMA have in recent years encompassed certain distributors under the umbrella of the SEMA Distributor Group, however although an independent audit of new members is undertaken this audit is only undertaken once the executive council allows the application to proceed and for this application to get to the audit stage then the applying member has to prove they predominantly promote SEMA member products. Furthermore no SEMA member is allowed to promote the sale of used equipment thus severely reducing the choices they can offer. Purchase price. In general there is saving on the purchase price which can be upto 50% in certain circumstances. Environmentally friendly. By its nature reusing equipment is the best for the environment. Speed of delivery. 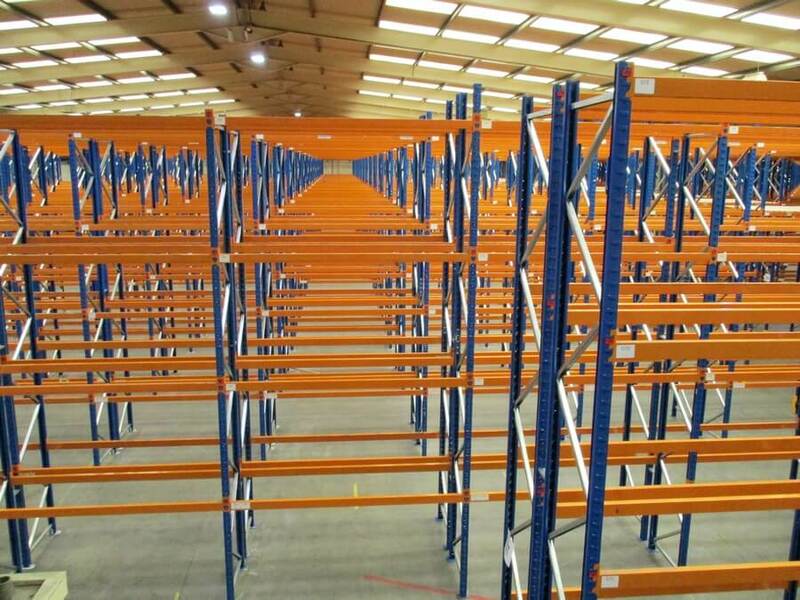 Normally a reputable used racking dealer will have the stock available for immediate delivery whereas the manufacturing time could be anything between 4 and maybe 10 weeks depending on the product. This may surprise the reader but there is a case that used equipment is more reliable than new. First of all the racking will obviously have been used and proven in a warehouse environment,t often new racking is designed on a computer and on occasions the computer gets it wrong. 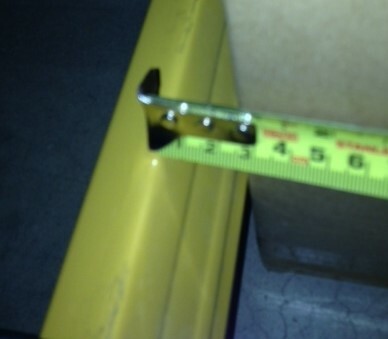 The photo shows such a situation where the manufacturer designed the racking beam with the minimum of steel but had not tested this design in practice on this beam section. Once loaded the beam rotated causing the customer serious issues. Ultimately the manufacturer in question changed all the beams at their cost compensating the end user. However if the client had bought used equipment he would have known the capability of the racking prior to installation. The actions of the manufacturer in the example above really highlights the issue and it doesn’t matter whether the racking is new or used it is down to the quality systems and the reputable nature of the supplier. If a product either new or used is sub-standard and not fit for purpose through a genuine mistake it is important that the supplier puts things right as soon as possible. In the case mentioned once the manufacturer realised there was an issue they responded immediately. In the 30 years that I have been in the industry I have never had any issues supplying used equipment whereas there have been a number of instances, like the one above, where the new product has been faulty and this has been from a range of manufacturers. Always talk to two or three suppliers one of which should be an “independent” distributor of new storage equipment and one reputable supplier of used equipment. 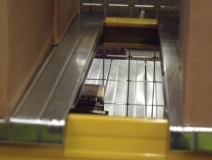 Design the warehouse from new material. 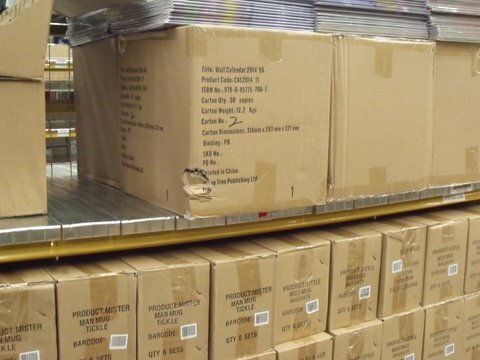 There is no point making do with used equipment that doesn’t optimise the warehouse space. Don’t talk to too many suppliers, three should get the best price and would encourage a quality service, more than this and those quoting are unlikely to invest the same time in coming up with the best solution. Ensure the used supplier follows some recognised standards and can give reference sites of a similar magnitude and can show you the stock being quoted. The new initiative of “USED Approved” status supplier is a good start to validate the credentials of a used supplier. Be wary of companies not offering rack protection to every upright. Always fit rack protection by a recognised certified rack protector to every upright. 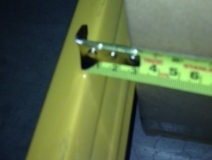 The HSE state that if a racking upright can be hit by a fork truck it should be protected. Irrespective of this, good rack protection pays for itself over and over again and is a good way to protect your investment. If these guidelines are followed and common sense is applied good used racking could well be the best option. 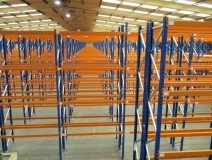 An installation of used racking.